A 70-year-old female patient suffering from exudative age-related macular degeneration (AMD) has become the world’s first recipient of an experimental transplant of a cell sheet derived from induced pluripotent stem cell (iPSCs). The patient is part of the “Clinical study of autologous induced pluripotent stem cell-derived retinal pigment epithelium (RPE) cell sheets for exudative AMD,” which is led by the RIKEN CDB’s Masayo Takahashi, M.D., Ph.D. (Project Leader, Laboratory for Retinal Regeneration) in collaboration with the Institute for Biomedical Research and Innovation Hospital’s Yasuo Kurimoto, M.D. (Head, Ophthalmology Department). The landmark transplant surgery took place on September 12. The study targets exudative (wet-type) AMD, a disease of the eye that primarily affects the elderly. In wet-type AMD, there is an abnormal growth of new blood vessels behind the retina of the eye, which causes damage to the overlying retinal pigment epithelial cells leading to distorted vision or loss of visual acuity. For this study, autologous iPSCs are derived from skin cells taken from a patient and then coaxed to differentiate into RPE cells. These RPE cells are further cultured to generate a small monolayered sheet that can be transplanted behind the retina of the same patient. Previous studies leading up to the clinical research have developed the protocol for generating RPE sheets and evaluated the quality and safety of the RPE sheets. 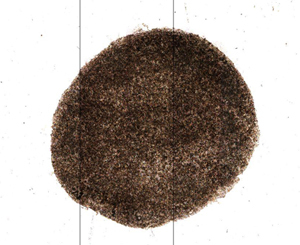 Before transplantation, the cultured RPE sheets go through a rigorous safety and quality check to ensure that cell shape and function, and gene expression are equivalent to in vivo RPE, and further verify that there are no traces of the plasmid used to initially insert genes to reprogram the skin cells and that the sheet is free of undifferentiated cells. Pre-clinical animal experiments have also demonstrated that iPSC-derived RPE cells do not show tumorigenicity. These data and the proposal for the clinical research study were reviewed by the Japanese Ministry of Health, Labor and Welfare last year, and Takahashi and her collaborators were given the green light to proceed with the study in late July 2013. Enrolment of patients began the following month. The primary aim of this clinical research study is to demonstrate the safety of the transplantation of the iPSC-derived RPE sheets. Because the patients selected for the clinical research trials are or will already be in advanced stages of the disease, the transplant is not expected to lead to significant improvement in visual acuity. There will be a one-year monitoring period to evaluate the initial results of the transplant.